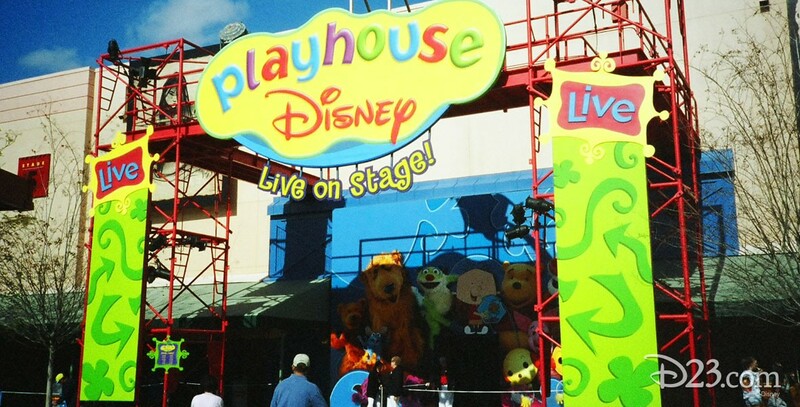 Playhouse Disney – Live on Stage Attraction at Disney-MGM Studios, opened October 1, 2001. A similar attraction opened at Disney’s California Adventure on April 11, 2003. Segments from Rolie Polie Olie, Stanley, The Book of Pooh, and Bear in the Big Blue House help provide life lessons to kids. It also opened at Walt Disney Studios Park in France on April 4, 2009. The Walt Disney World attraction changed to Disney Junior – Live on Stage on March 4, 2011, with Jake and the Never Land Pirates, Mickey Mouse Clubhouse, Handy Manny, and Little Einsteins, followed by the one in Dinsey California Adventure on March 25, 2011.